If you're a fan of Time Team, you should check out this lecture on Stonehenge at the University of Glasgow. Part of the 2013 Dalrymple Lectures, 'Stones, ancestors and astronomy: the purpose of Stonehenge' will be given by Mike Parker Pearson, Professor of Late British Prehistory at the University College London at 5:30pm at the Sir Charles Wilson Building. I have a friend who has been to the other lectures this week and she says they are very interesting and well worth attending. If you couldn't get tickets to see the Pixies at the Barrowland, dry your eyes and celebrate Gaelic Day with DJ Dolphin Boy and Niteworks DJ at the CCA. The event, Baile Air Bhoil, mixes traditional music with electro/dance for a night of chic tcheuchters. Check out the Think Boutique and Rapa Nui Gallery pop up shop at 112 Byres Road. Make a silver lining for the recession cloud, the good folk behind the online retailers wanted to fill one of the empty shops on Byres Road with holiday magic. And that's what they've done - the duo offer ethical shopping with live mannequins, an art project for weans, and other activities planned between now and 21 December. Go ice skating on George Square this weekend. One of the things I miss most about living in New York is the way Manhatten is transformed during the Christmas season - particularly the area around Rockefeller Plaza, with the huge tree and the ice skating. Every city (where it actually gets cold) should have some sort of winter festival to help us get through the dark months. Glasgow's antidote to winter is in George Square, with crazy lights, a helter skelter, and ice skating. The ice skating opens this Saturday, so celebrate the holiday season with some skating and some hot cocoa. 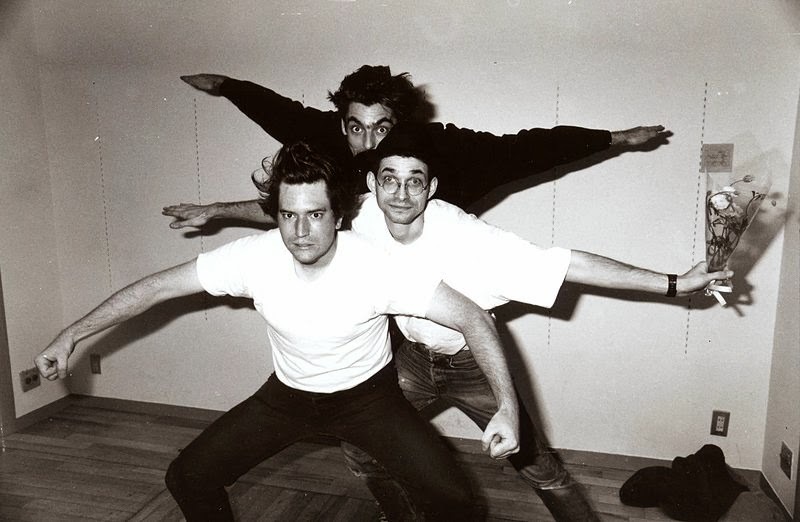 It's a full Pixies weekend - former Pixies engineer (though you may think of him as a producer, which would be fair enough) and all around music genius guy, Steve Albini, has a band called Shellac, which will be playing at SWG3. Now if only the Breeders were in town for a trifecta. If you don't know Shellac, here's some of their music on Youtube. Just to prove that Glasgow has something for everyone when it comes to music, the Gatsby Club will be happening at the Glasgow University Union on Saturday night. Listen to live Jazz age music and be sure to wear your sparkliest deco togs. Visit the vintage Christmas gift fair on the Tall Ship. There will be mulled wine, mince pies, face painting, carols, and santa. And then don't forget the pop up at House of Fraser. If you haven't gone already, Sunday afternoon would be the perfect time to visit. I had initially dismissed the the Hunger Games because I had mentally lumped it in with the Twilight series. I had never read the Twilight books, but felt I pretty much knew what would be in store for me if I ever did, or watched any of the films. When I was heavily pregnant and my husband was out of town, the first Twilight movie was on telly and I succumbed, but stopped watching after about 45 minutes. Yep, it was pretty much what I expected. When the Hunger Games film came out, I never bothered with it. Then we got an Apple TV, and a Netflix subscription. Now that the baby is born, I watch a shocking amount of tv (I can't go out most evenings and when you don't get much sleep, tv is the easiest way to entertain your sleep deprived brain) and had worked my way through a good number of films and shows. I decided to give the Hunger Games a shot because I had read somewhere that, thanks to that original film, it was now okay to kill teenagers on screen. For some reason, that made me think it wouldn't be so bad. I mean, look at the Japanese film Battle Royale - that was awesome. So I watched it. It was good. Really good. The cast, the plot, the pacing, the costumes - it all worked. I was pleased. Now the Hunger Games: Catching Fire is premiering this weekend. I'll probably have to wait until it gets released on Netflix again, but it still made me happy to see that Suzanne Collins' crazy world is back on the big screen.